For hundreds of years, as Europe explored the world beyond its shores, intrepid adventurers, botanists and plant hunters sent back seeds and specimens of the thousands of flowers they came across on their travels. In Britain in particular, nurserymen and aristocratic garden lovers set about experimenting with each new influx of botanical material, to create the garden flowers we know today. 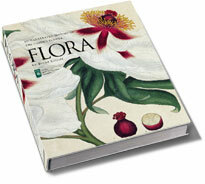 flora tells the fascinating story of this evolution, drawing on the superb archive of the Royal Horticultural Society. 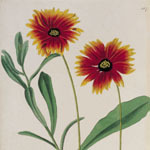 The exquisite illustrations within are notable not only for their historical value in charting the development of garden flowers, but also for their beauty,including works by the great names in botanical art.